Understand how to evolve today’s 4G network to 5G and how to manage the transformation in an efficient and cost-effective way. Join Victor Ferraro and Goran Hall and see what the different migration scenarios are and what steps shall be taken towards a target Dual Mode Core cloud native implementation, enabling new network capabilities that allow you to release the full potential of new 5G-enabled use cases. 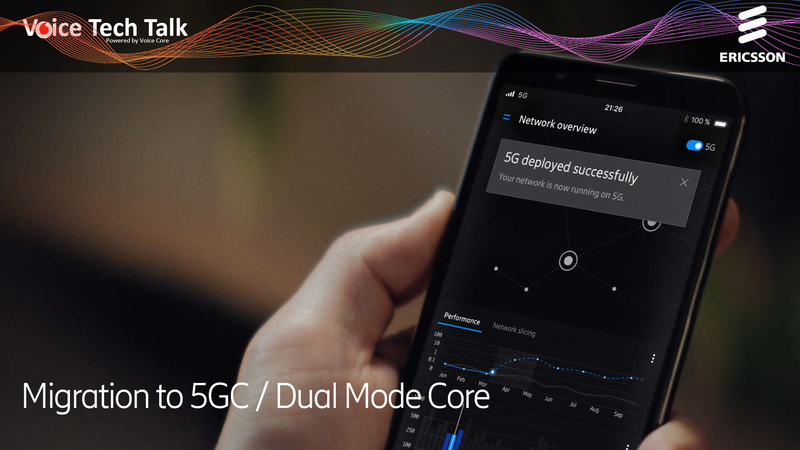 Discover the deployment flexibility, full interworking with legacy networks and smooth evolution to 5GC with the Ericsson Dual Mode Core.